Last summer I was putting together a presentation on field sketching and consulted the internet on one of my art heroes, Hannah Hinchman. I have several of her books, but she doesn’t have much of an online presence. 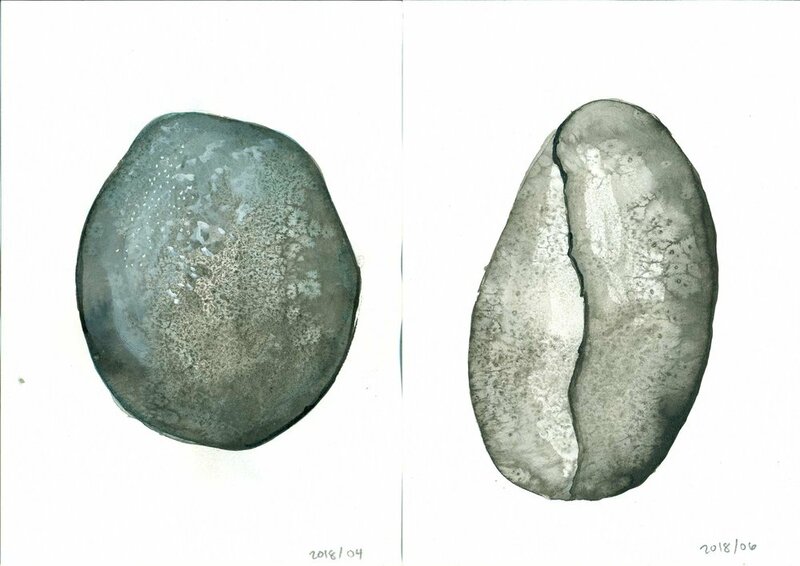 However I did find this lovely discussion on four kinds of nature journals, quoted on Morning-Earth.org, in their series on Artist-Naturalists. On one end is the Informational journal, the true naturalist’s field journal. It concentrates on the quantifiable and identifiable, gathering names, facts, and observations with an impartial thoroughness. It contains drawings, but they are meant to be explanatory. There is little room for the personal in this kind of journal, though I admire it for the valuable role it serves in adding to the body of knowledge. On the other end of the scale is the Reflective journal. It’s purely personal, mostly concerned with human-generated culture, investigations of the psyche, relationships, responses to art and writing, dreams, memories” as in Anais Nin’s diaries. The self is the subject rather than the world. The art in this journal might look more like William Blake’s paintings. In between the two poles are two other kinds of journals that have become more and more central to my interest. The first is the Investigative: It documents the outer world, but includes many unmeasurable and unnamed phenomena, like the effects of light, ways the seasons change, patterns and textures in nature. It goes outside the categories of the Informational journal and finds links between apparently dissimilar things. Thus it includes more of the person making it, because it’s up to that person to invent new categories. Art in this journal would look more like what we find in Leonardo da Vinci’s notebooks. I (Kristin) am personally not so interested in characterizing things, but I love the descriptions of an investigative and a resonant journal. 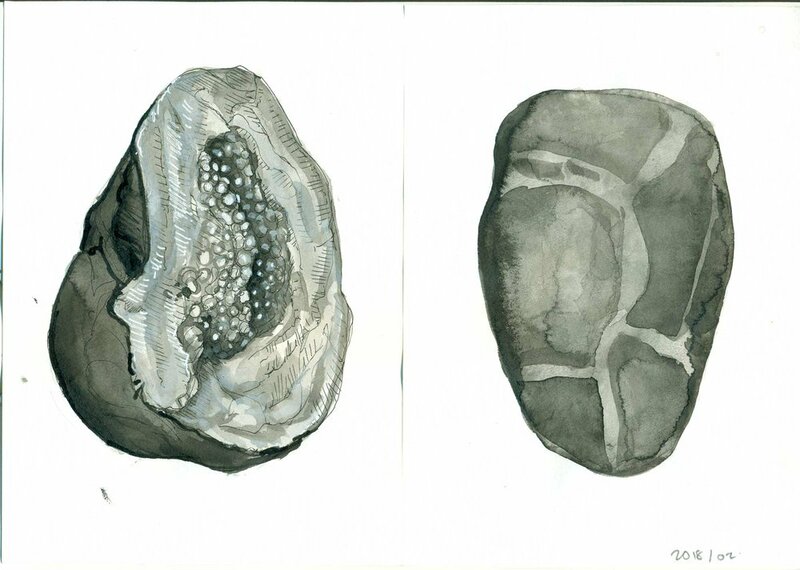 What draws me to Hannah Hinchman’s sketchbooks is that she asks questions of and situated herself in the landscape. I agree that an informational sketchbook is worthwhile. It can be a wonderful tool for making observations and learning about things. 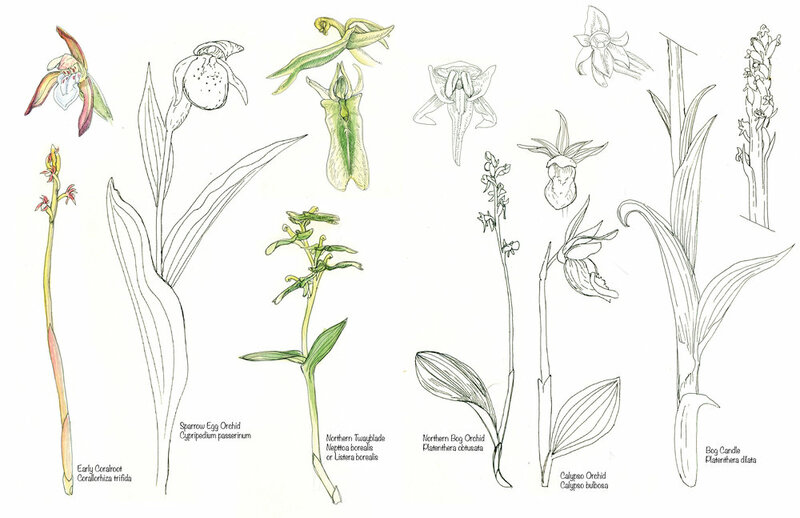 For example, I learned so much on my quest to find, draw, and identify the different kinds of orchids growing near me this summer. Likewise keeping a reflective journal is useful. Every morning I write “morning pages” to clear my head before I start the day. However, I especially am inspired by this idea of brining humanity and curiosity to my work. One exercise (which I incidentally learned from Hannah Hinchman’s book, A Life in Hand: Creating the Illuminated Journal) is called meditative journaling, where a person sketches something and free writes at the same time. You can do this on the same page, or on two facing pages. It’s a great way to slow down, be present, and find overlaps between what’s going on in your emotional mind and the surroundings. I also find the process of drawing something to be meditative, weather I write out my feelings or not. It’s something I started to think about when I was creating “Rock portraits”, but continue to work with today. 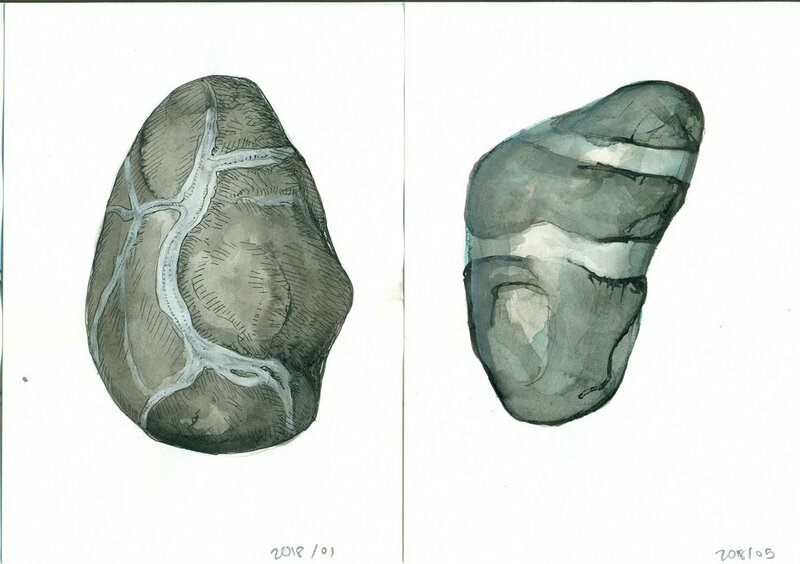 Above is a series of quick rock sketches I am doing for Inktober this year. They aren’t as detailed as some of my portraits, but for me they are more immediate and capture the artist’s hand. 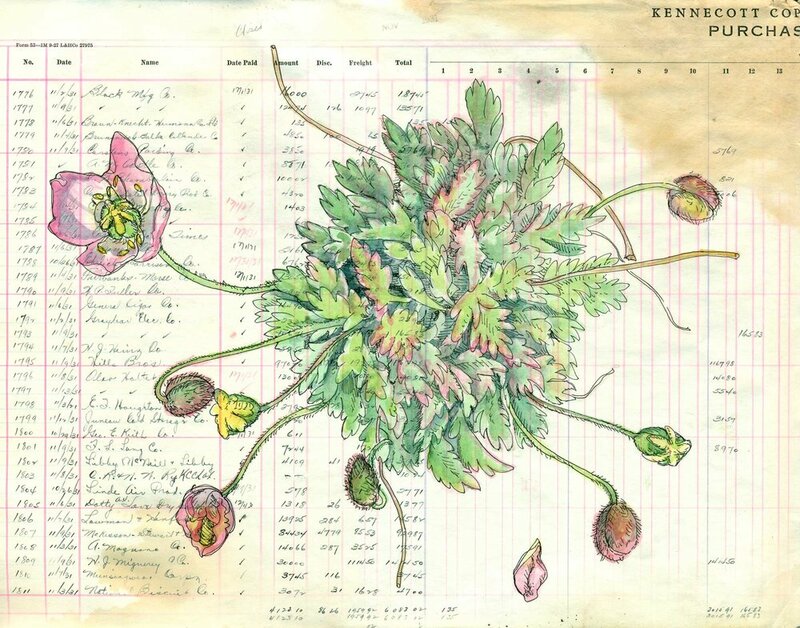 Below is a series of poppies painted on historic Kennecott Ledger paper, dated to 1931 when the copper mine was in operation. The subject is the Portage Poppy, Pale Poppy, or Papaver alboroseum, which grows right out of rocks and gravel. This kind of work— drawing, painting and sometimes collaging with other types of paper— is something I’m quite excited about right now. 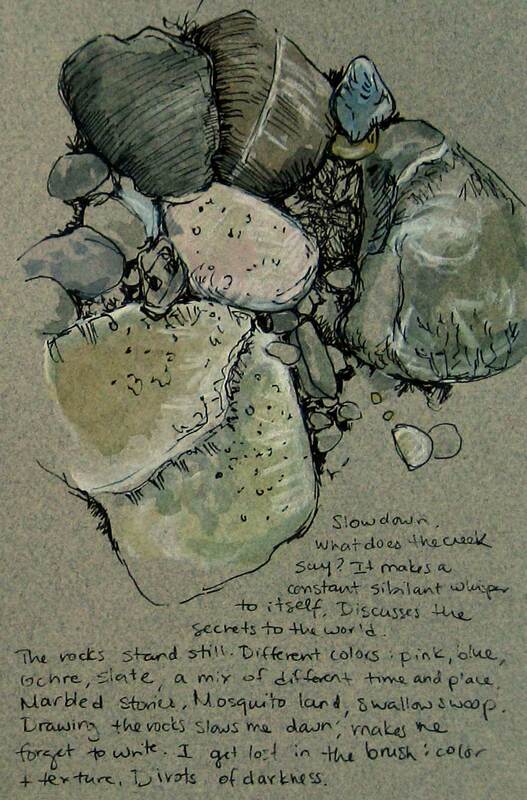 One reason I love it is that I can work with the layers of my artist’s hands and mind, observations of the natural world, as well as artifacts created by other humans to study and record the world around them. I enjoy that “ interweaving between the person and the world [where] curiosity extends both inward and outward”. I’m inspired by documenting this experience of being a human in the grand landscape around me. I wanted to share Hannah Hinchman’s description of types of natural journals as a lens through which to view the way we make work. I hope it inspires you to work in new directions too.